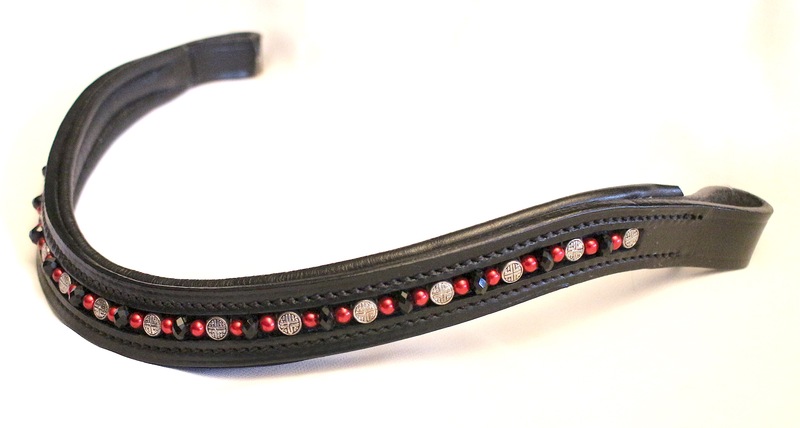 Beautiful hand beaded Red Pearl, Black, and Tibetan Silver browband. Black or brown padded leather browband with 1.5" loops. Straight, U-Shape, or V shape. Custom order available in all sizes.